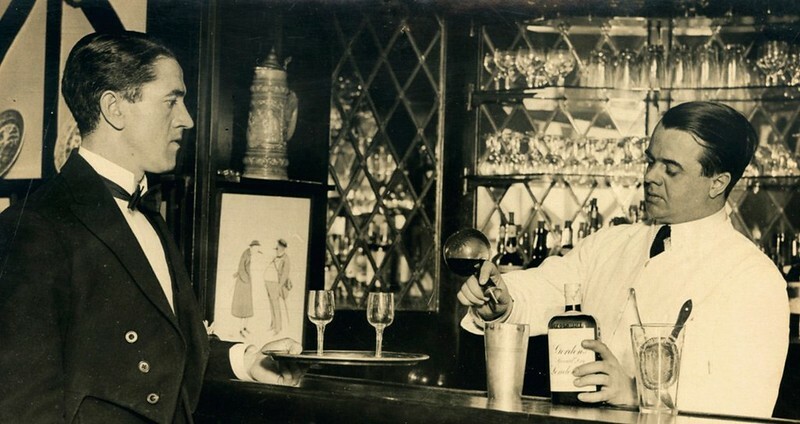 Today is the birthday of famed bartender and bar owner Harry MacElhone (June 16, 1890-September 16, 1996) who opened the famous Harry’s New York Bar in Paris, France in 1911. 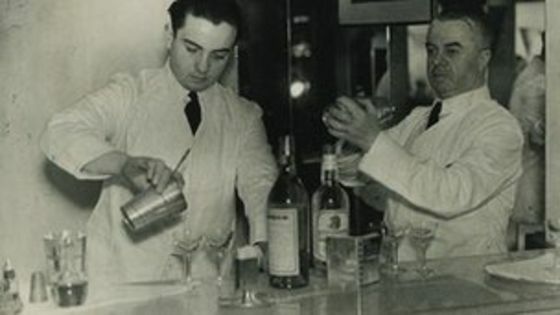 “Harry MacElhone was a defining figure in early 20th-century bartending, most famous for his role at Harry’s New York Bar, which he bought in 1923. 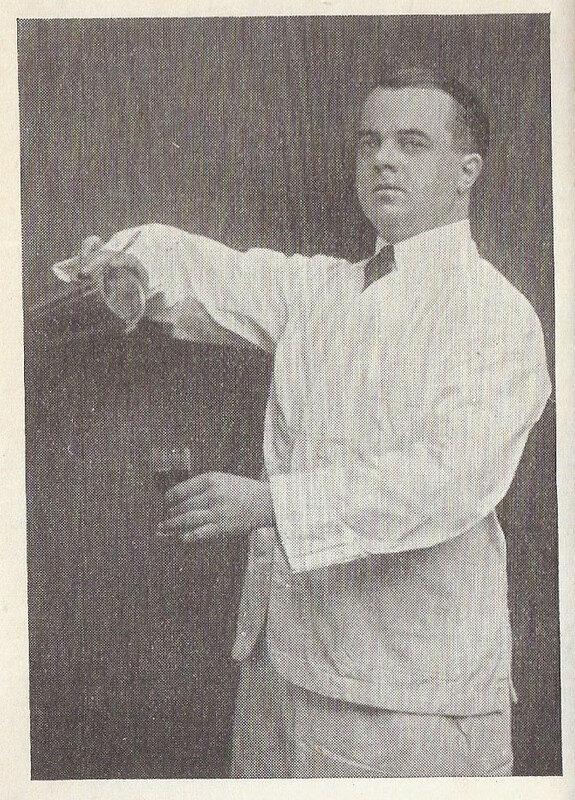 Born in Dundee, Scotland, on 16 June 1890, he published books including Harry’s ABC of Mixing Cocktails and Barflies and Cocktails. 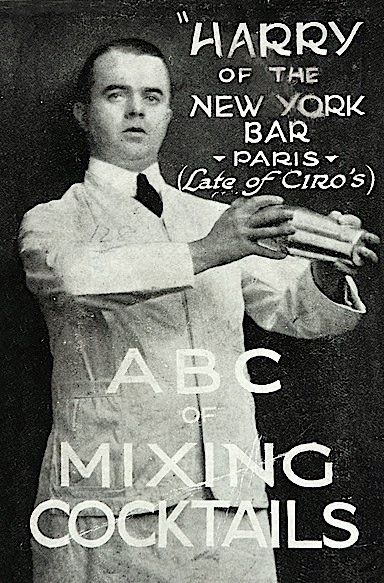 Harry (at right) as head barman at Ciro’s in London. Harry’s New York Bar was originally founded by American jockey Tod Sloan, who so wanted to create the atmosphere of a New York saloon that he actually bought one in New York, had it dismantled, shipped to Paris and rebuilt it where it stands to day at 5 rue Daunou (Sank Roo Doe Noo). It’s original name was simply the New York Bar when it opened on Thanksgiving Day in 1911. 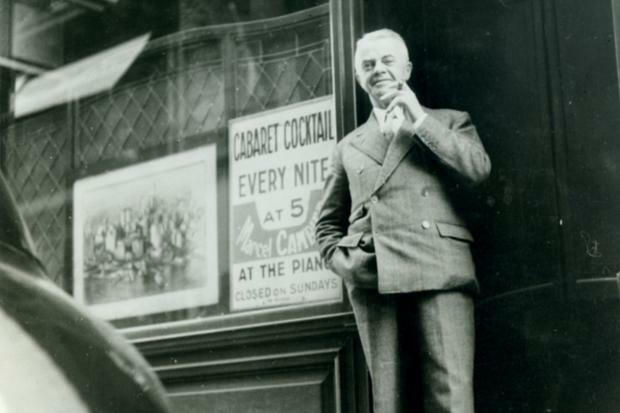 Sloan initially hired a Scottish bartender from Dundee named Harry MacElhone to run it, who twelve years later bought the bar in 1923 and added his first name to it. Shortly after opening, it began attracting American expatriates and celebrities, including such “Lost Generation” writers as F Scott Fitzgerald, Gertrude Stein and Ernest Hemingway. George Gershwin supposedly wrote “An American In Paris” there, and it has been visited by many movie stars over the years, from Humphrey Bogart to Clint Eastwood. In the book Casino Royale, Ian Fleming’s character Bond said it the best place in Paris to get a “solid drink.” It’s also where the Bloody Mary was first conceived, as well as the White Lady and the Sidecar. A few years aho, Harry’s New York Bar celebrated its 100th anniversary and there were articles detailing the place, such as Harry’s Bar: The Original and A century of Harry’s Bar in Paris, by the BBC.